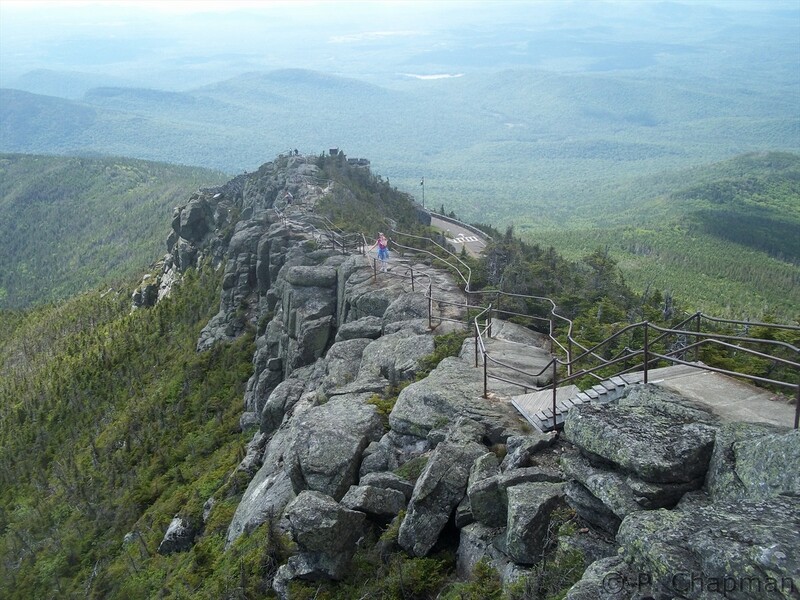 #28: Esther Mountain, 4240 ft.
#5: Whiteface Mountain, 4867 ft.
Esther and Whiteface are very close to each other and many hikers climb them together. 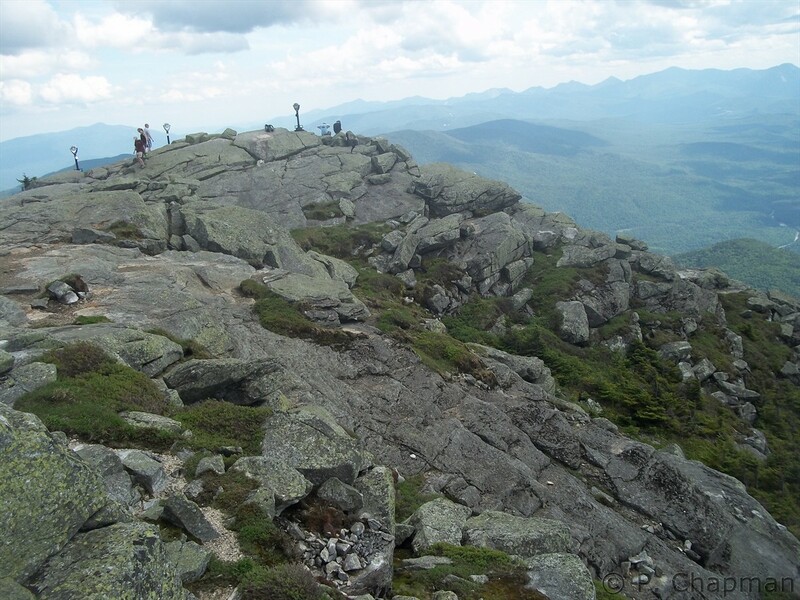 I thought it would be an interesting hike in that Esther is one of the “trail-less” peaks (it technically does not have a marked/maintained trail to the summit), while by contrast, Whiteface is the most commercialized mountain in the Adirondacks. 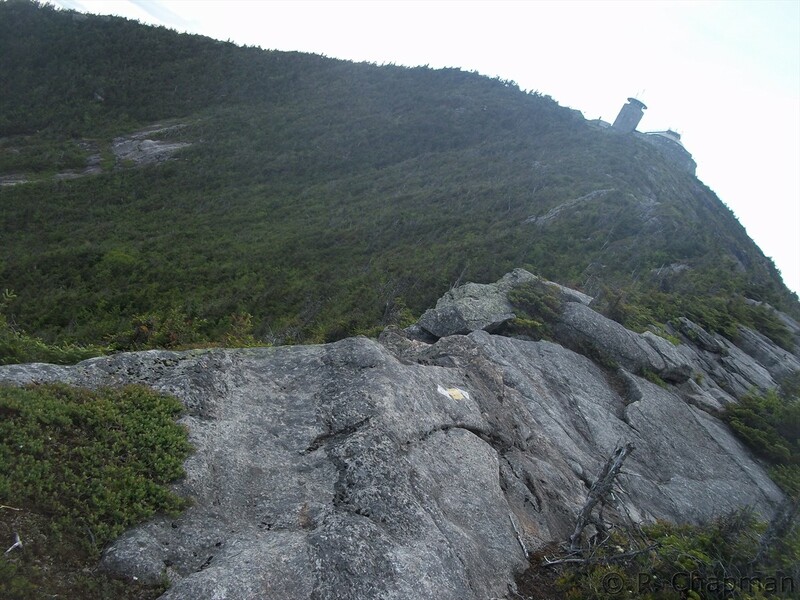 The trail from the ASRC meets the more popular Reservoir trail after about a mile of steady vertical climbing up Marble Mountain. From there the ascent becomes more gradual. After a mile or two we passed an old toboggan shed, and shortly thereafter the junction with Esther, opting to climb it first. 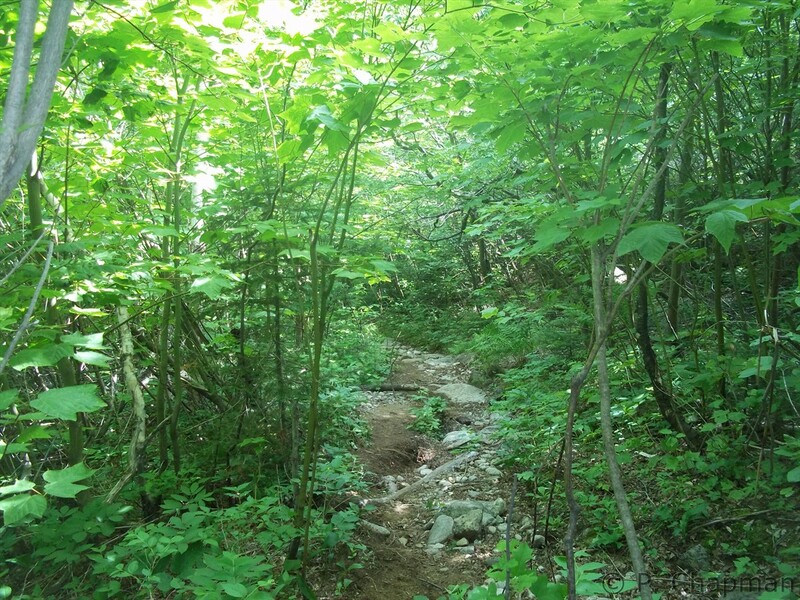 For a mountain without a marked trail, it was remarkably easy to navigate via the herd path. It was narrow but simple to follow and a beautiful climb, despite the anti-climactic summit. 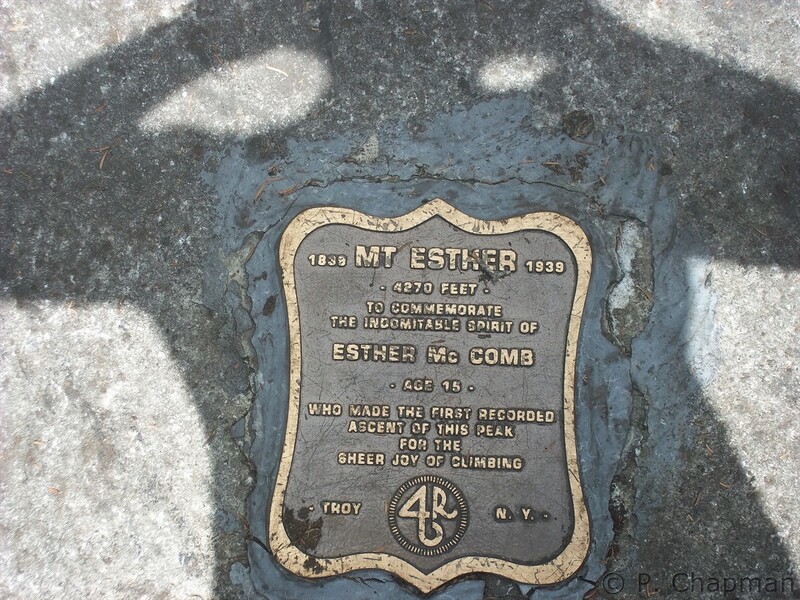 Esther Mountain was named after the first person recorded to have ascended the peak, a 15 year old girl named Esther McComb* who had gotten lost trying to climb Whiteface in 1939. The terrain on Esther is so rugged and diverse that I can’t imagine accidentally finding my way to the summit without following a path of some sort, so kudos to Esther on this amazing feat. 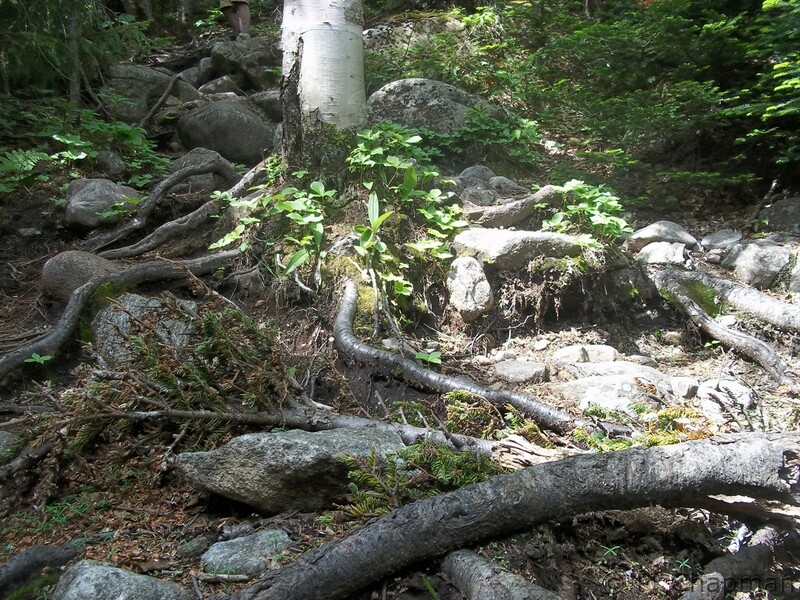 The trail to Whiteface started off fairly gradual, seemingly following an old, rocky riverbed. 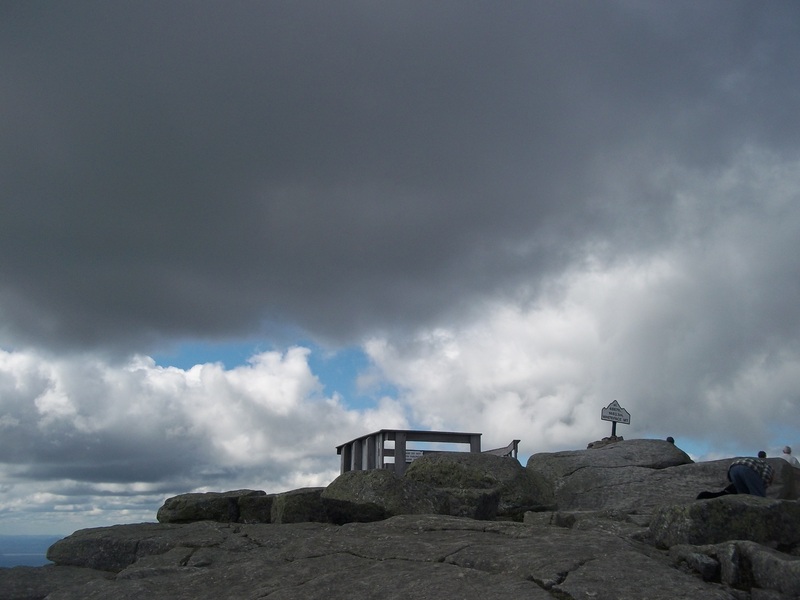 I didn’t enjoy the climb up Whiteface nearly as much as Esther – it just wasn’t as pretty, in my opinion. But the views you were treated to as you ascended the tree line and started up the rocky peak were incredible; it was pretty cool seeing the slides so close-up . It was definitely a little strange to spend a day hiking in the woods only to encounter a developed and crowded summit, where most people had driven up to check out the views. I think I was the only actual hiker on the mountaintop, or at least I was the only one who looked exhausted and covered in filth. * In the months since writing this blog post, I’ve learned that no one has ever been able to confirm that Esther McComb actually existed. There’s a great write-up about this in Heaven Up-h’isted-ness. Reservoir trail up Marble Mtn. Pru, these pics are absolutely beautiful! Looks like you had a great day! Hey, thanks Lisa! Aside from the 5 million bug bites, it was a really nice day. 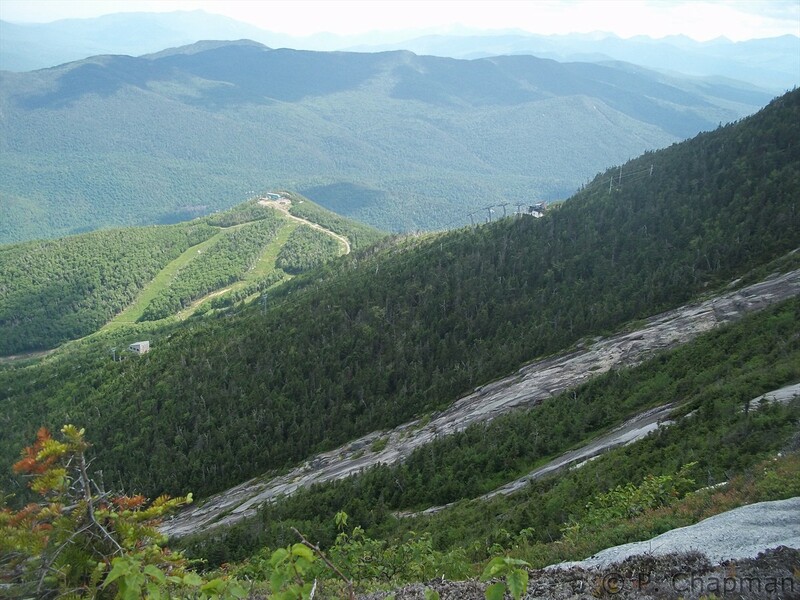 I went skiing at Whiteface back in the day. It’s one of the best mountains in the east. The hike looks nice like many of the others. Even though commercialized with lift infrastructure, you still had a great day in nature. I’d love to climb that rocky verticle but it could be extremely unpleasant to slip. You were smart to play it safe. 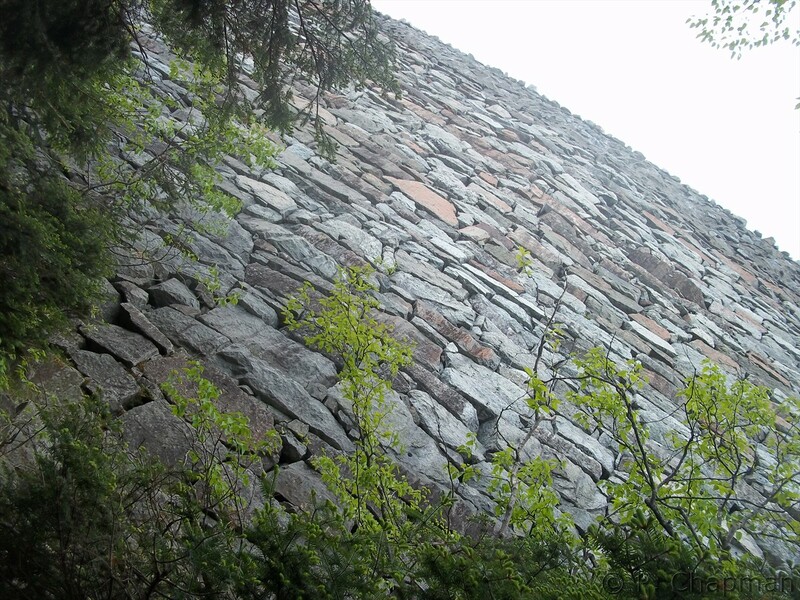 I may be adventurous, but you couldn’t pay me to scale that giant rocky wall! As I was approaching it from the trail, it looked like I was going to have to climb it and I was panicking. I was very happy to find that the trail veered left just before it. 🙂 Whiteface is super popular with skiers; I don’t ski but have heard that it’s the place to be if you do. It was a nice day, and great to do both mountains at once. 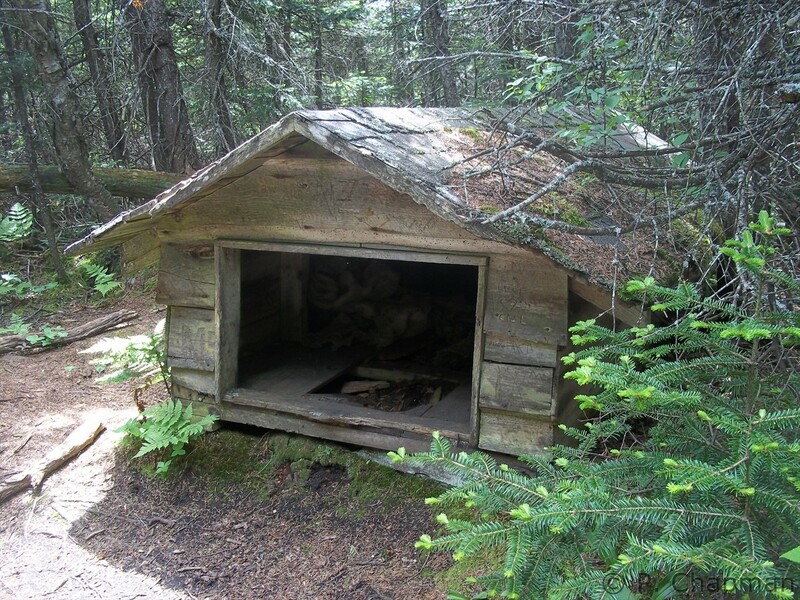 Esther is a beautiful day hike for anyone wanting solitude and unspoiled nature. Beautiful picture of the lake. The wooden trail looks fun. Thanks for sharing! Thanks, Laura. I hope you, Andy and Max are doing well; let’s catch up soon! Great going! Nice pictures. 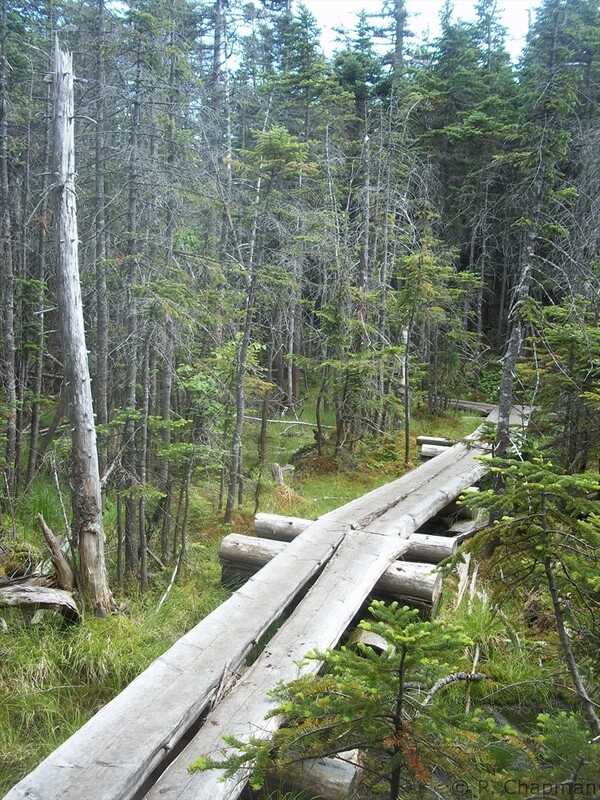 I did Esther last summer, I was surprised at the boardwalk on an “unmaintained trail”. 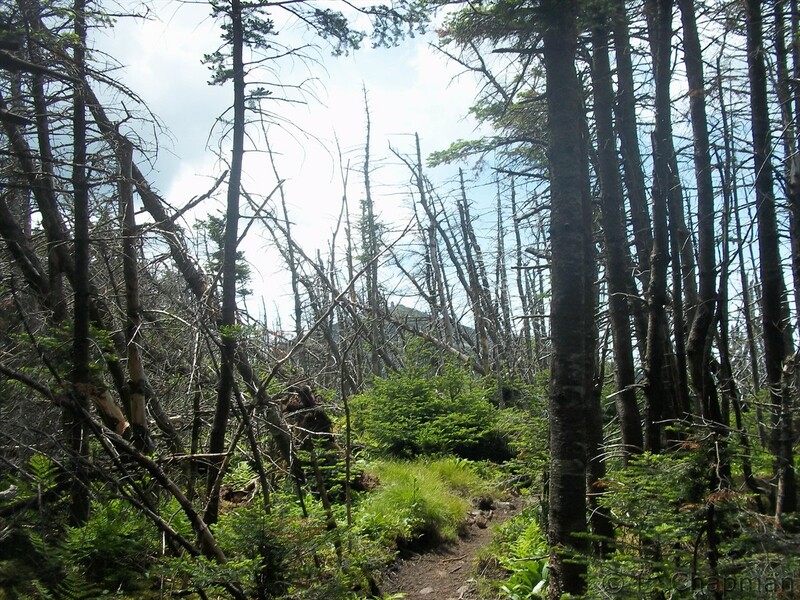 Thanks, and agreed; now I’m wondering about the states of the other “trail-less” peaks. It would be nice if they were all like Esther, but I’m definitely not going to count on it. Hope to see you on a hike again soon, Margaret! Maybe Street and Nye later in the month? 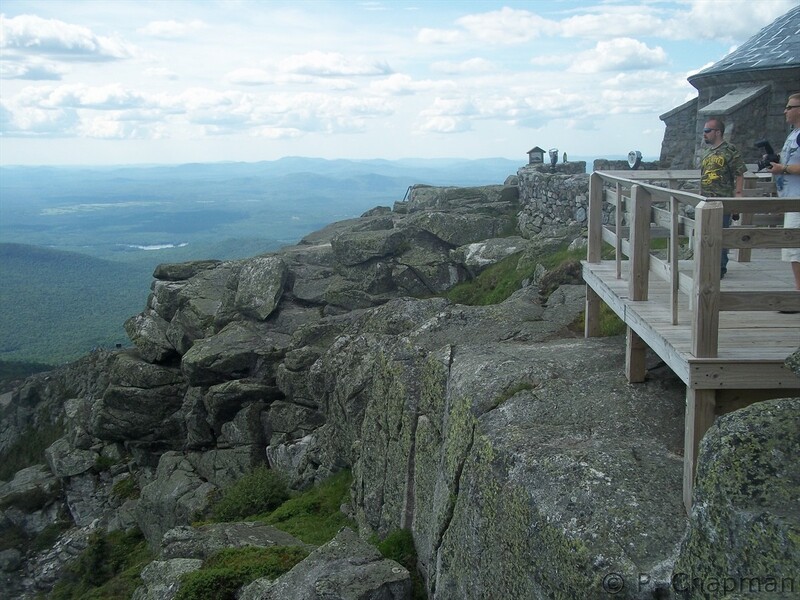 It looks like you lucked out on this one…not too many “tourists” at the summit of Whiteface. 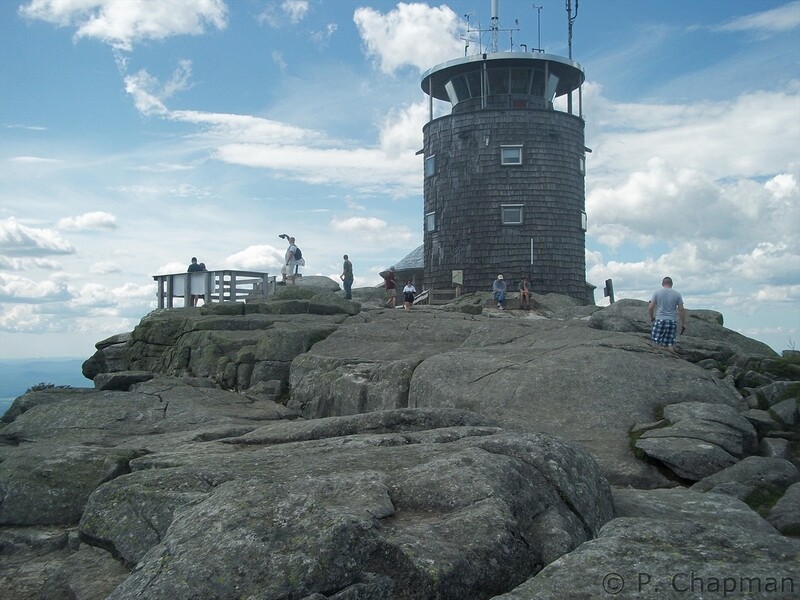 I’ll never forget when I ascended from Connery Pond/Whiteface Landing approach…got up to the summit and received so many stares from all the clean, freshly showed tourists, in their play clothes and sandals…whatever…I had more fun than all of you who drove up the mountain!!! Mt Esther has much better views in the winter, IMHO, since you are higher off the ground with the snow. BTW, I like your note about the existence of Esther McComb (or lack thereof) from the “Heaven Up-h’isted-ness” book. Not many people know this. Maybe someday I’ll see Esther in the winter… maybe. 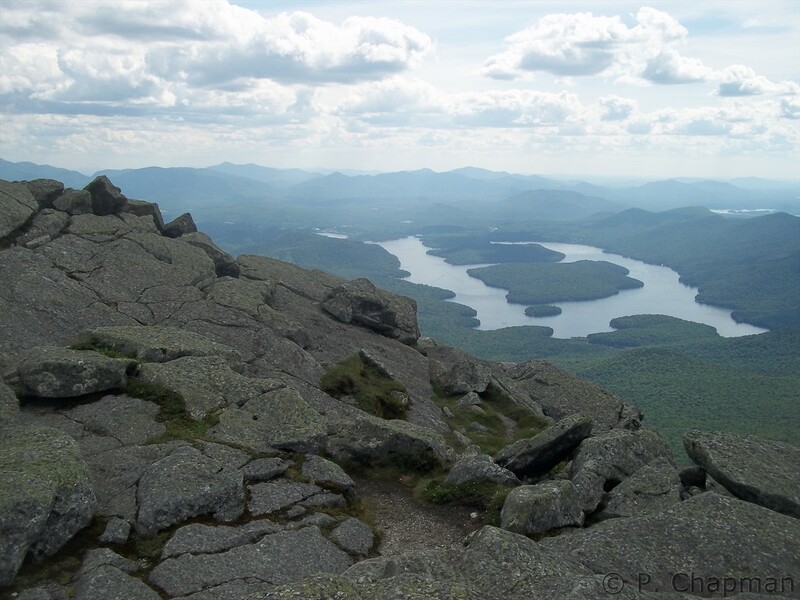 That book is a must-read for anyone who loves the Adirondacks, in my opinion!